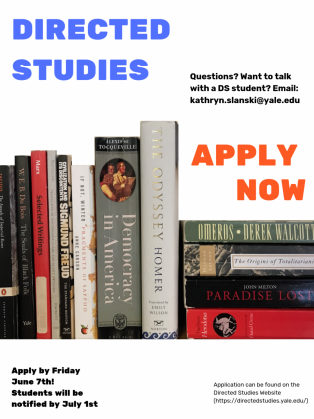 Directed Studies offers a select group of first-year students an intense interdisciplinary introduction to some of the seminal texts of Western civilization. Working in discussion seminars with top Yale faculty, DS students learn to analyze complex texts and to put them into conversation with one another across time and genre. 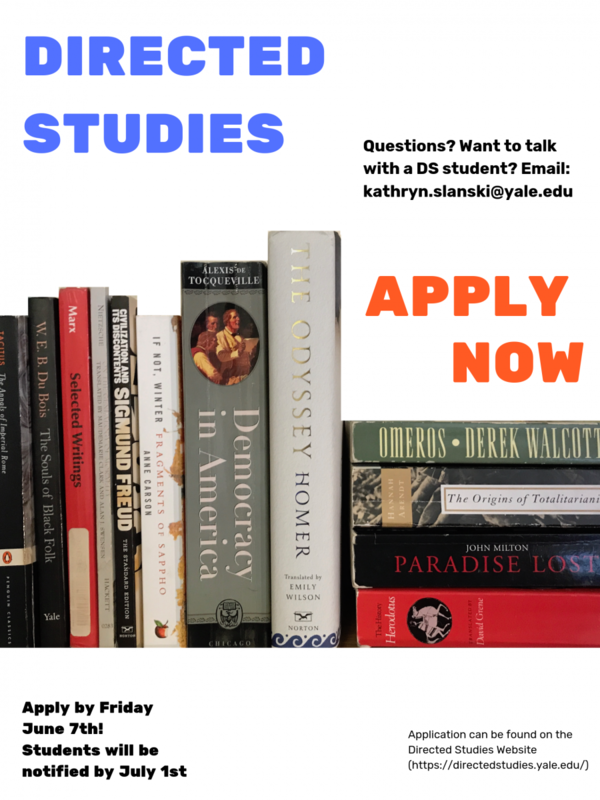 DS helps students develop their abilities to engage in thoughtful discussions of fundamental human questions, and through frequent feedback from faculty and dedicated DS writing tutors, to write clear and persuasive analytic essays. Study Break! Hosted by the DS Ambassadors Sunday, Dec. 9, 3–4pm Location: Berkeley Mendenhall Room With donuts! End of Semester pizza party! DS Gallery Talk: with Curator in Chief Larry Kanter on Medieval Art. 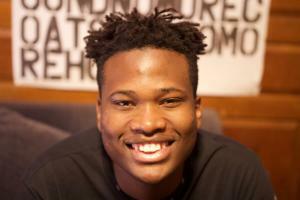 DS Alumni explain why they took DS. "What Was Your DS Moment?" "Who is your favorite DS author?"